Barcelona is a relatively small city in extension, its growth limited by two rivers on either side, a range of hills behind and the sea in front, but that is one of the many things that make it such a great place – it has size that makes it friendly to citizens and visitors alike, if you do not mind walking you can get to most places on foot within an hour. The other positive side effect of its size is that, for travellers, is one of the most beautiful cities to approach. When you fly to other cities your plane usually overflies nondescript fields, industrial areas and satellite towns before landing at an airport several miles away from the city. It is impossible to identify your destination from the air, and you only realise you have reached it after travelling through (usually) grey suburbs. For those cities you reach by boat, the story is similar. Ports are not the greatest sights, and the beauty city you want to visit is behind a long expanse of oil and gas tanks, shipping container yards and railroads. Barcelona is a completely different story. The approach flight path to its airport is along the coast, right in front of the city, and those who are sitting on the starboard side of the plane are rewarded with one of the best views of the city skyline that makes it easy to spot the most important landmarks they are so eager to visit. 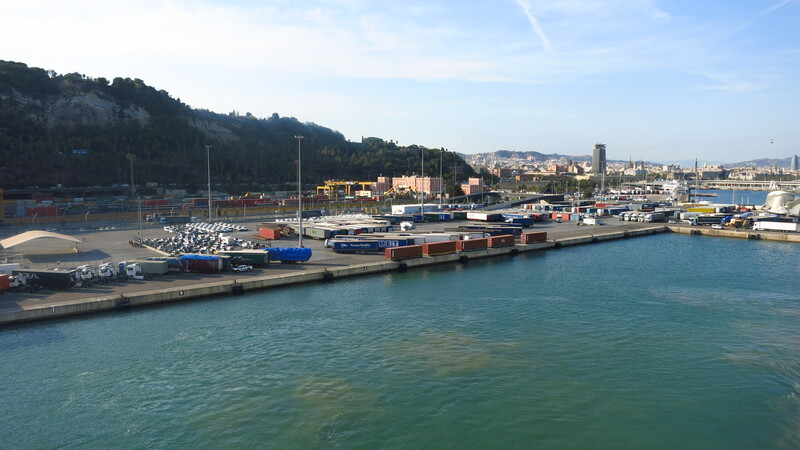 Coming from the sea, the experience is similar, and the port for passenger ships is right in the city, so when you drive off you are already practically in the centre, no ugly transition through industrial areas. I had never arrived in my city by sea, and when the crew announced that we were an hour away from port I got to the top deck to try to spot land and see the approach. 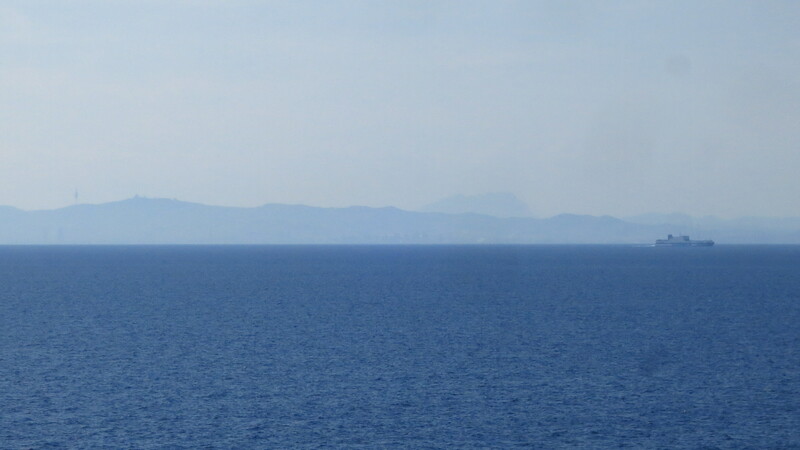 It wasn’t long before I saw a faint line of mountains appear over the horizon, and sooner than I thought I was able to identify the unmistakeable silhouette of the mountains of Montserrat a few miles inland. 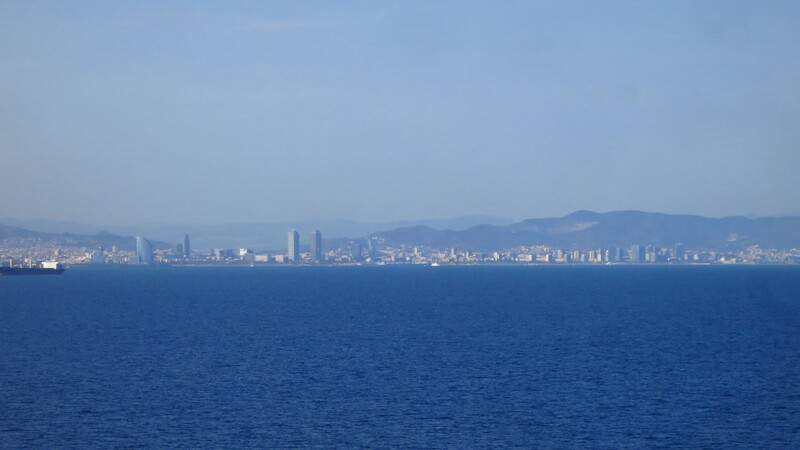 The second thing that became recognisable against the sky was the Collserola television tower, and then the mountain of Montjuïc, the Montseny range in the distance and finally the first tall buildings of Barcelona right by the sea. Little by little the buildings became more recognisable, and I saw the Mapfre tower and Arts hotel, the Agbar tower… an Italian kid visiting the city for the first time squealed with excitement when his father pointed at the Sagrada Familia, and much faster than I expected, we were docking at the port terminal. I got the bike off the ferry and rode straight into the afternoon rush hour traffic of the city. After so many kilometres in places where there seem to be no traffic rules, I had to do my best to control myself and not start overtaking cars and riding on the wrong side of the road to get home faster. 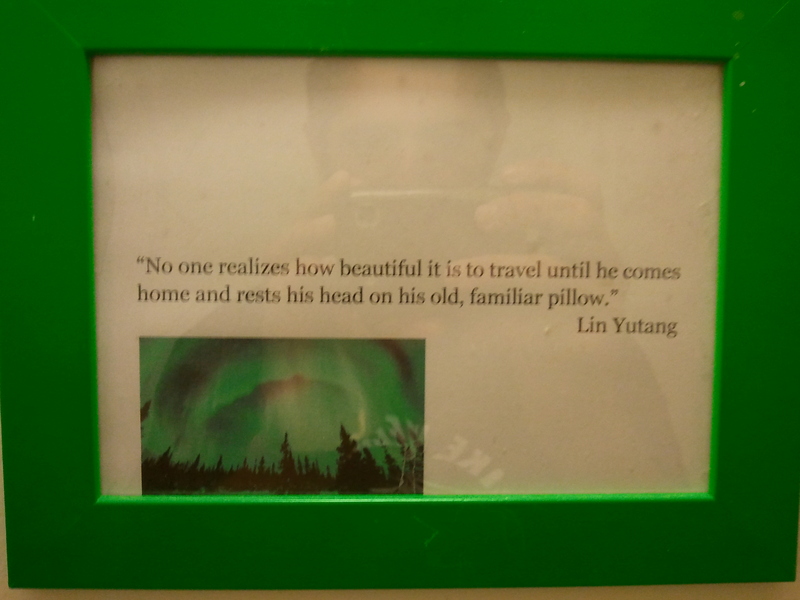 I once saw this little sign on a hostel in Sweden, and as I lay my head on my pillow I thought what a great truth it was. 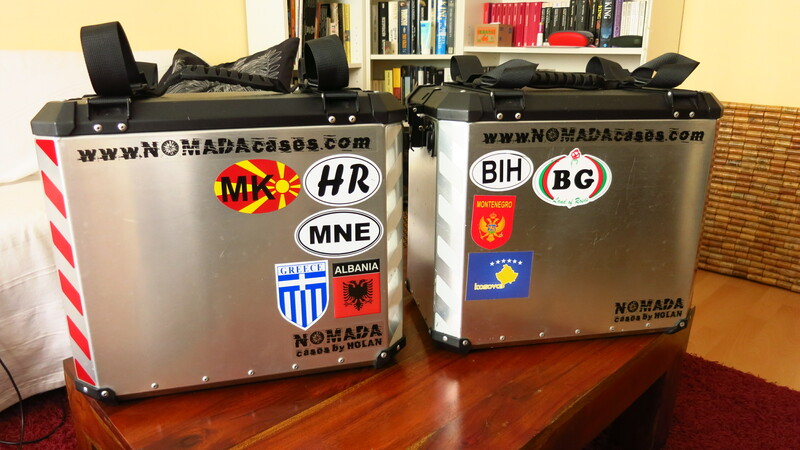 This entry was posted in Balkan Adventure 2016, Travel and tagged Barcelona, ferry, Grimaldi, Honda CRF 1000L by Kilian. Bookmark the permalink.